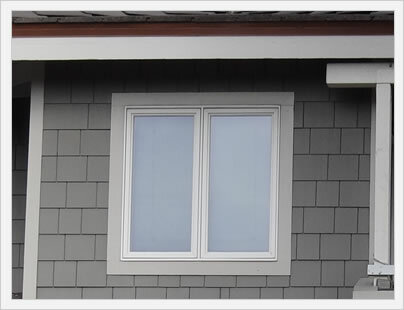 Explore Pella Encompass windows reviews, ratings, prices and warranty information on this updated Pella ThermaStar vinyl replacement window. The Thermastar by Pella gets quite a bit of attention because it has been part of the Consumer Reports Replacement Windows list for the past five years. Unfortunately, it tends to be the lowest rated window in the vinyl category and does not fare any better in terms of its overall reviews from contractors and industry experts. This rather checkered past was one of the reasons why Pella renamed the window, although they still sell it at the Big Box stores like Home Depot and Lowes. The Encompass actually sells well because consumers who shop these stores have probably heard of Pella and they see the low sticker price and think they've got a decent window. Unfortunately, the Encompass is a no frills vinyl window that is not going to provide the sort of long term value that most consumers should be looking for. Check out our low budget windows page for recommendations and affordable options. For consumers who are interested in Pella vinyl windows, they may want to consider the Pella 250 and Pella 350 window series, which get much better reviews than the Encompass. The Pella Encompass vinyl window gets pretty poor ratings based on everything we know about the window. We checked every style of Pella window on the nfrc.org website to find published performance numbers on the Encompass and the window does not appear anywhere - not under the ThermaStar name or the Encompass name. The Pella 350 and Pella 250 vinyl windows did appear and we have their performance numbers listed on the appropriate places. The Encompass Series windows can be ordered in a double or single hung, awning, casement or as a sliding window. 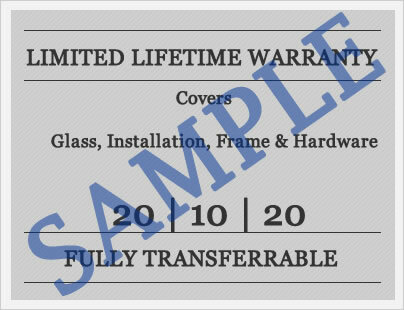 Pella offers a Limited Lifetime Warranty on their vinyl windows and doors. All nonglass materials and workmanship are warrantied to be free from manufacturing defects for the life of the original buyer for as long as they own their home. The company will repair, replace or refund the original owner from the defective parts or full window (the company will also cover the cost of the installation for 2 years from the date of purchase). If the home is sold to another owner, the warranty covers the new owner for 10 years from the date of purchase. Nonlaminated glass is covered for a period of 20 years and laminated glass is covered for a period of 10 years. Any product with EnduraClad Exterior Paint is warrantied for 20 years from the original date of purchase. Their Exterior Surround carries a 25 year limited Warranty. As always, there are a number of exclusions that consumers need to be aware of prior to purchasing their windows. Using a quality contractor with experience working with the particular window manufacturer can help insure that if something does happen you have some recourse.